The pen may be mightier than the sword, but it's not always easier to use. This month's downloads make writing and reading simpler, better, and more productive. Two are completely free of charge, and one offers a feature-rich free trial version with no time limit. PDF-Xchange Viewer lets you mark up and examine PDF files with a number of tools. Adobe's popular PDF format re-creates print documents electronically, and you can enjoy the files for free with Adobe Reader. 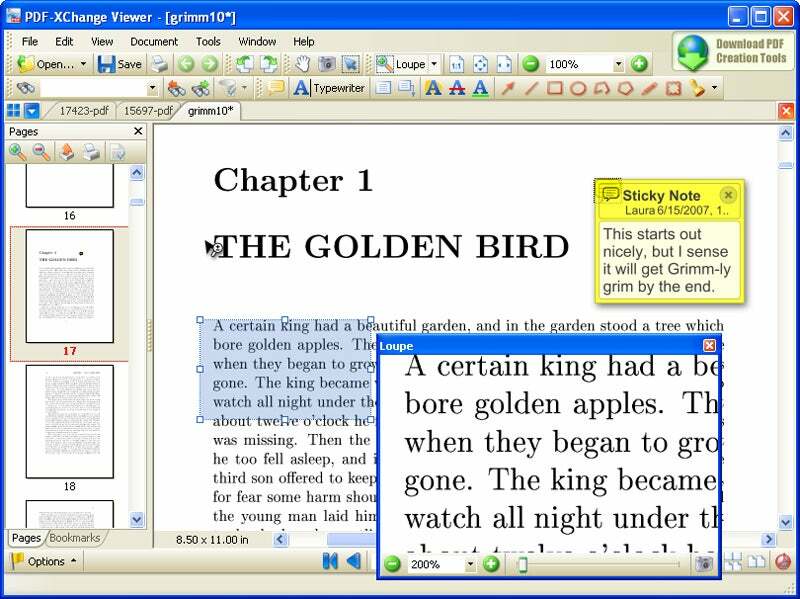 But Reader doesn't let you point out errors or add comments; to handle that, you could invest $229 or more in Adobe Acrobat--or you could use Tracker Software's free PDF-Xchange Viewer. This attractive, easy-to-use application can't create PDF files, but it's great for monkeying with existing ones. PDF-Xchange Viewer supports many kinds of markup, from highlighting to circles to sticky notes--and you can even export the product as another PDF. Now that's flexibility. PhraseExpress makes it easy to insert boilerplate copy in just about any application that accepts typed input. Slow typing wastes time, but hurried mistakes create confusion and embarrassment. PhraseExpress spares you these extremes. This simple macro utility pastes its own stock phrases, favorite ones you add, or whatever's on your Clipboard into documents, e-mail messages, blogs, and so forth. Because it simulates actual keyboard input, PhraseExpress should work with any Windows app (I couldn't find any application it didn't support), but the developer makes no guarantees. PhraseExpress's AutoText feature lets you create code words that it automatically converts into the phrases you associate with them--for example, typing myaddress in the AutoText field could produce your street address in a document. Conveniently, PhraseExpress can import AutoText and AutoCorrect settings you may already have created in Microsoft Word. A caveat: If you import AutoCorrect entries from Word, both PhraseExpress and Word will use them, yielding duplicate text entries. Bartels Media, maker of PhraseExpress, suggests turning off AutoCorrect in Word and letting PhraseExpress do the job. Book Collector finds and downloads information about your book, including cover art and a list of other data sources. Have you ever wracked your brain trying to remember whether you own a certain book, or turned your living room upside down looking for an errant volume? If so, Collectorz.com's Book Collector could be the organizing software of your bibliophilic dreams. 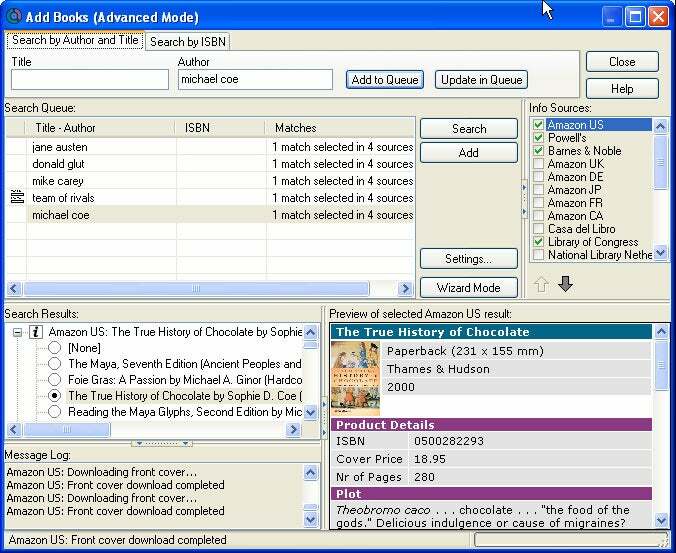 When you enter a book's title, author, and/or ISBN, Book Collector searches for it in databases such as those of Amazon.com and the Library of Congress, and downloads information from publication date to cover art to plot synopsis. Once the software creates an entry, you can add data about your copy: condition, physical location, notes...even e-book or paper type. You can browse your database by title, author, genre, cover image, or other category. The free trial version lets you catalog 100 volumes, after which you can't add or change any books or data. To unlock the data vault, upgrade to the $40 full version, which includes loan tracking so you can keep tabs on your book-borrowing friends. Download Book Collector (free 100-volume trial, $40 full version). Laura Blackwell is a contributing editor for PC World.